Over thirty houses, grouped by period and style, reveal the historical and architectural importance of the Cotswolds. Divided into three main sections, the book looks first at the sublime castles, such as Sudeley Castle with its royal connections spanning a thousand years, and magnificent examples of early manor houses, such as Owlpen Manor, Daneway House and Snowshill Manor, as well as important Jacobean houses, such as Stanway and Chastleton House. The second part focuses on the great Classical country houses and noblemen's palaces of the eighteenth century, like Badminton House and Dyrham Park. Finally, the third part surveys the twentieth century and beyond, documenting the work of leading practitioners of the Arts and Crafts movement, including Ernest Barnsley's Rodmarton Manor and William Morris's Kelmscott - superb embodiments of the Arts and Crafts ideal. Featuring exceptional photographs from Country Life, the renowned magazine of English country living, The Cotswold House profiles over fifty of the region’s signature stone houses. The region is the second most popular destination in Britain for Americans, and these stone houses have inspired American residential architecture and landscaping for generations, making this book a must-have for anyone interested in architecture and interiors. The book spans centuries of stone masterpieces. The first section focuses on the earliest medieval houses, such as Sudeley, and manor houses, such as Owlpen and Snowshill, as well as important Jacobean homes. The second section looks at the classic country houses, like Badminton and Dyrham Park, while the third documents stone houses up to the present, including Arts and Crafts masterpieces like Ernest Barnsley’s Rodmarton Manor and William Morris’s Kelmscott. Also included are notable recent additions such as Rosemary Verey’s Barnsley House and the "New Classicism" houses of Quinlan Terry. Nicholas Mander is a Cotswolds native and has long been involved with historic preservation of the region. and claim your discount today. 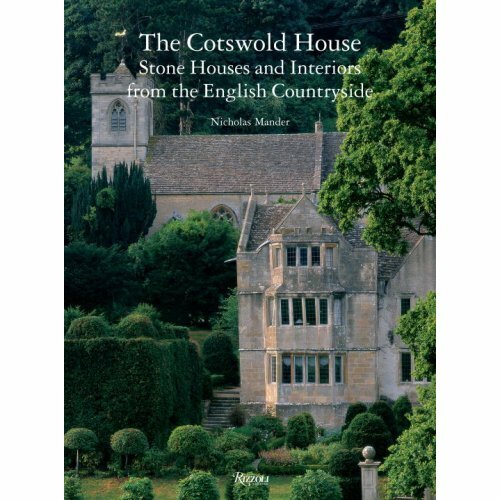 Sir Nicholas Mander spoke to scores of friends and fellow country house owners to compile Country Houses of the Cotswolds (Aurum Press, £25). He also drew upon some 200 photographs published in Country Life over the past century – a unique repository of architectural history. 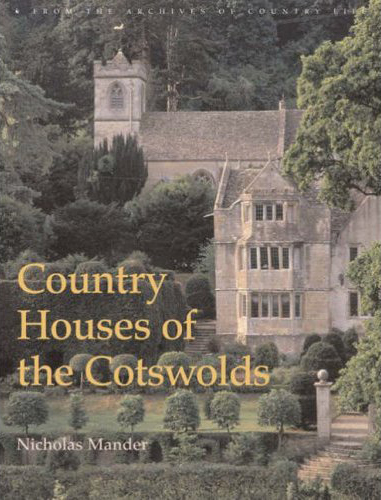 The result is a splendid coffee-table book in which more than 30 houses, grouped by period and style, reveal the historical and architectural importance of the Cotswolds. 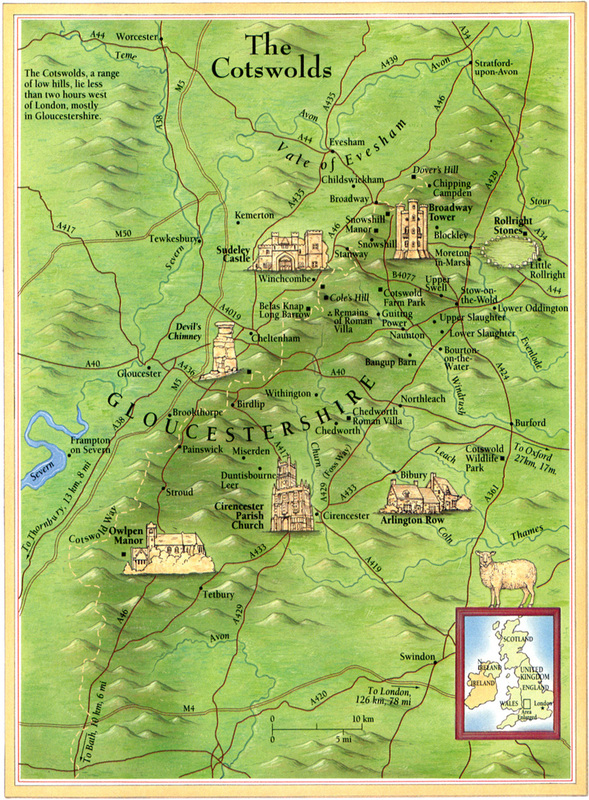 They range from sublime castles such as Sudeley to early manor houses, among them Owlpen Manor, Daneway House and Snowshill Manor, and then there are the important Jacobean manors, including Stanway and Chastleton. The second part of the book focuses on the great classical country houses and noblemen's palaces of the 18th century, notably Badminton House and Dyrham Park. And the third section surveys the 20th century and beyond, not least such Arts and Crafts showpieces as Ernest Barnsley's Rodmarton Manor and William Morris's Kelmscott. What all these houses have in common is an ambience and presence that make them unforgettable to all who know them.